Following the recent announcement by Trampoline East of the format for the regional championships, Fenland Flyers are going to adopt the new Open structure which permits those regularly competing either grades or NDP to compete alongside one another. 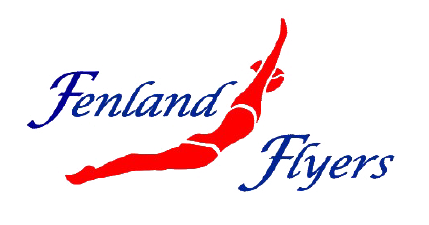 Fenland Flyers will be holding an Open Competition on 14th June 2015 at the Thomas Clarkson Academy, Corporation Road, Wisbech, PE13 2SE. Entry fee will be £7.50 and the closing date for entries 23rd May. 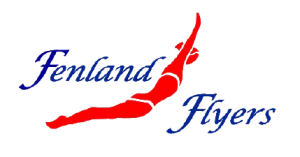 Entry forms will come out nearer the time but any clubs thinking they will, or will not, enter, early advice to Adele would be appreciated – email fenlandflyers@hotmail.co.uk. Competition groups will be as defined in the Open structure, TPD grades will also be offered as will a Novice Group competing the routine specified below. Trophies will be awarded for the first 3 places in each group and medals for winning teams.